Pierino Yere Okoya, was the deputy army commander and the commander of the Second Infantry Brigade of the Uganda army in Masaka. Before that he was the second in command of the B Company in the 4 KAR in Jinja which was the nucleus of the post-independence army. Following independence Okoya rose through the ranks, becoming a captain, major and colonel by 1965. He was made brigadier and army chief of staff in 1968 due to his leadership, dedication and discipline; which according to those who knew him well was an admiration to other officers, and won him respect in the rank and file of the Ugandan army. A giant, whisky-loving soldier, Okoya was who was the Brigade Commander of what was at the time known as the Western Command, based in Masaka, was killed, together with his wife Anna on January 25, 1970 at their Gulu home in northern Uganda , a few kilometres away from the army barracks. Anna Okoya had gone to take a bath on the veranda when the killers struck. Brig Okoya came out on hearing the gunshot and was in turn killed in the doorway. Following this, Brig. Smuts Guwedeko, then a Captain, and Major Geoffrey Kasule were arrested on suspicion that they had a hand in Okoya’s murder. Okoya’s death was never investigated, even after numerous calls for an independent inquiry into this cowardice event. Acholi leaders, and Acholi officers and men of the Uganda Army failed to hold Obote’s government to account for the death of Brig Okoya which came almost immediately after the mysterious death of another gallant son of Acholi, Col Omoya in 1969. 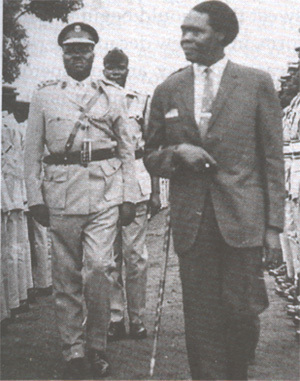 Brig Okoya’s murder complicated the relationship between Obote and Amin, Okoya had earlier denounced Amin for cowardice because he fled to a military base instead of taking charge of the army following an attempted assassination of Obote in December 1969. 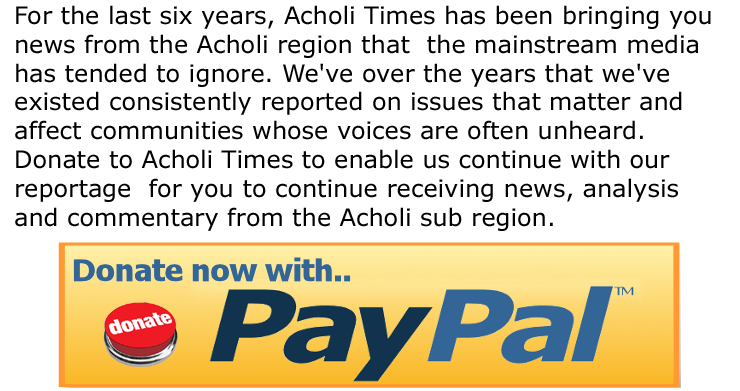 Okoya’s death marked the beginning of the blood bath that the Acholi people are still being subjected to 40 years after his death. Born in 1928 in Palaro, sub-county, Gulu district, Okoya joined the Kings African Rifles (KAR) in 1950. He was commissioned Lieutenant in 1962 after independent. Others appointed to the same rank by the Presidential Commission of the Kabaka, were Omoya and Albertino Langoya. The only other Lieutenants in the country at the time were Idi Amin Dada and Shaban Opolot who were commissioned by the Queen.